Give the gift of zen to the special man in your life! 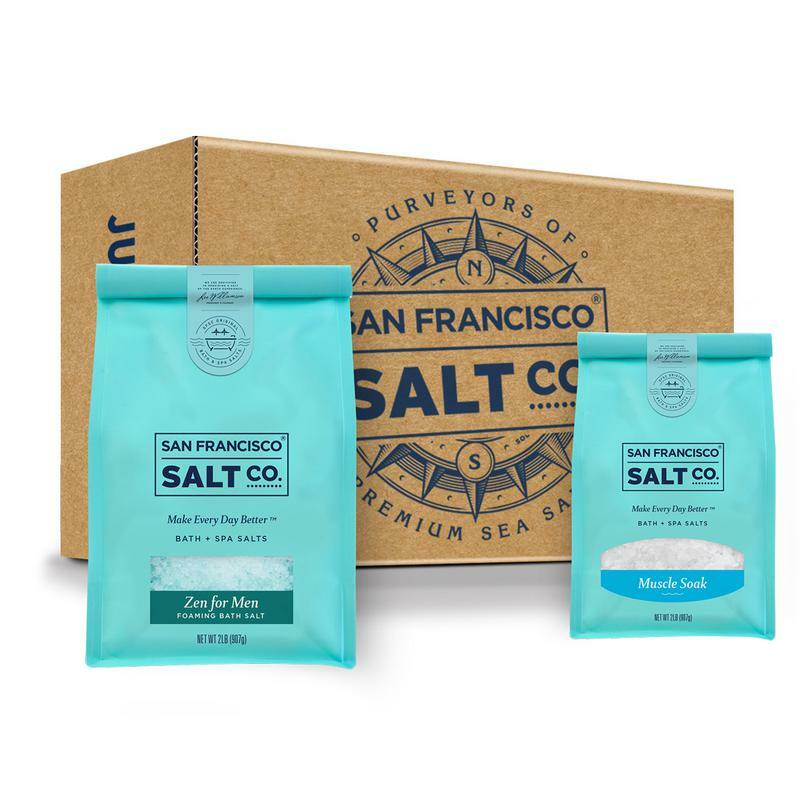 This presentation worthy premium gift box contains one 2 lb. 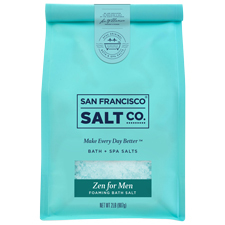 Luxury Bag of Zen for Men Foaming Bath Salts and one 2 lb. Luxury Bag of Muscle Soak Bath Salts. Our Zen for Men Foaming Bath Salt is a fine/medium grain foaming bath blend with a masculine musk scent, created specifically for men. Skip the shower and treat yourself to a restorative soak at the end of the day. Zen For Men Ingredients: Pacific Sea Salt, Sodium Lauryl Sulfoacetate (Lathanol) Powder, Fragrance, Glycerin (Vegetable Glycerin), Tocopherol (Vitamin E), Aloe Barbadensis (Aloe Vera) Leaf Juice, FD&C Blue 1 Lake. 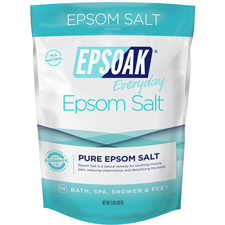 Muscle Soak Ingredients: Magnesium Sulfate (Epsom Salt), Eucalyptus Globulus (Eucalyptus) Essential Oil, Mentha Piperita (Peppermint) Essential Oil, Tocopherol (Vitamin E), and Aloe Barbadensis (Aloe Vera) Leaf Juice.